High Cash Flow - High Equity Properties For You! 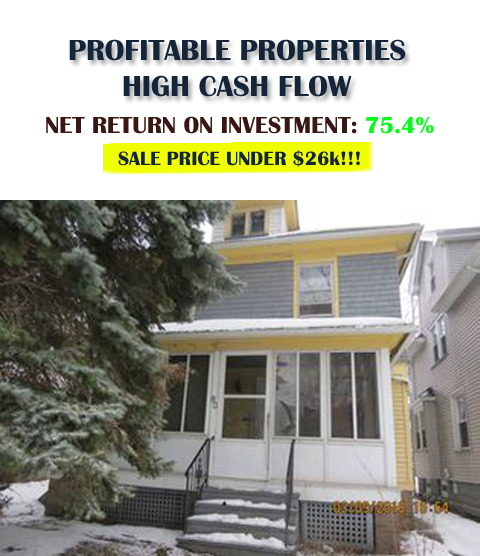 Profitable properties that can HUGEly benefit your cash flow &/or Skyrocket your Average Return On Investment Up to 75.4% ROI. We would be very happy to help "Lockup" the contract and acquire the property. Because of the great Returns, these properties go very quickly... So I'll encourage you, like I do our other clients, not to wait or you will most likely lose your chance to pick up the one(s) you want. To automate this process and get us going for you, simply fill the form below.